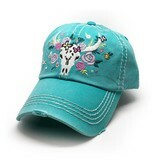 100% cotton ball cap sized for women with a hook and loop adjustable strap. The color is turquoise blue with fading and distressing. A longhorn skull with flowers embroidered on the front. 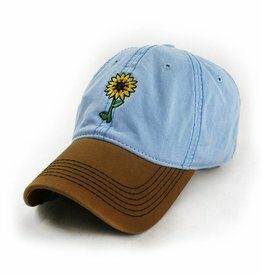 This is a very cute hat for women and will be great for a summer music festival.